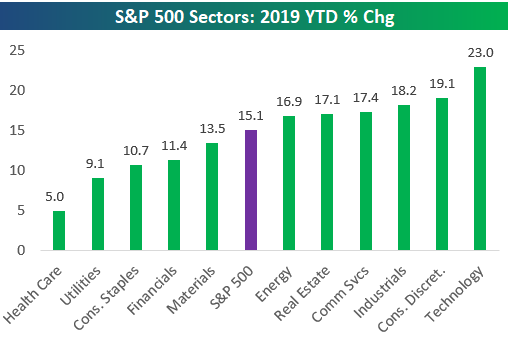 In this week’s Sector Snapshot, we highlight Tech’s ridiculous gains so far this year plus continued weakness for Health Care relative to the rest of the market. To gain access to the report, please start a two-week free trial to our Bespoke Premium package now. Here’s a breakdown of the products you’ll receive.